1,440 sq ft; lot: 0.595 acres - MLS# 1408124 Courtesy of Windermere Real Estate Co.
Large & classy luxury unit: 2 master suites separated by huge open flr plan -living room/dining room/kitchen w/ seating bar. Enjoy high-qual. artistic design touches, beautiful wooden built-ins, bamboo floors & private office. Huge west facing patio spans the living/dining. 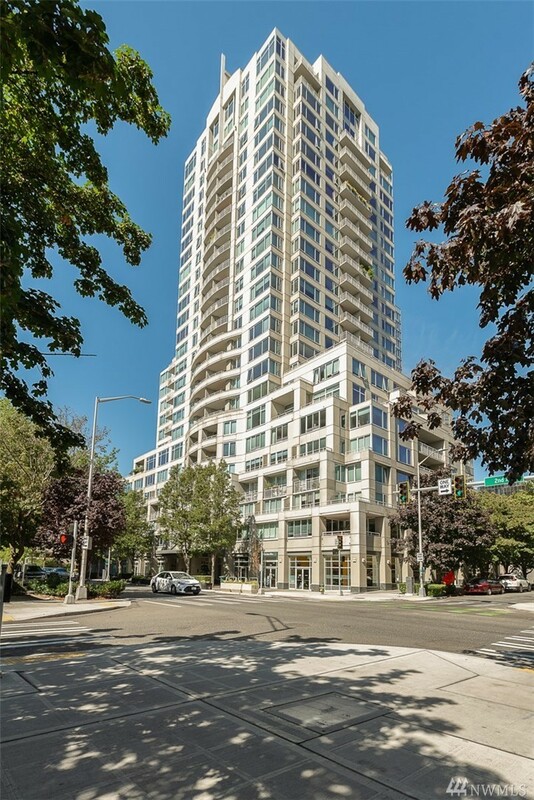 Amenities incl:2x secure parking spots,storage,24 hr concierge, pool, sauna, gym, common patios w/ BBQ.Walk score=99%:Amazon, Seattle Center, Pike Place Mkt, bike paths, beach, & SAM;Award-winning Belltown urban neighborhood.